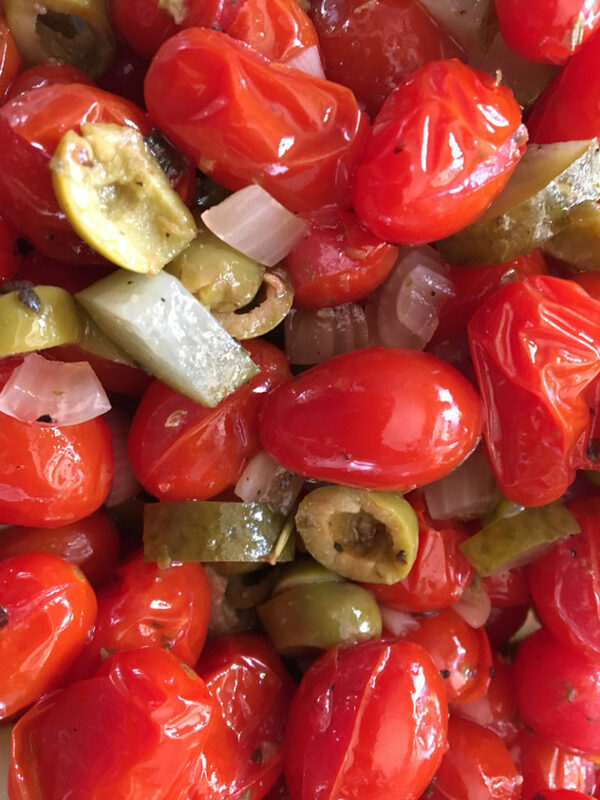 The other day we were going to grill some burgers, roast some sweet potatoes in butter, and make a tomato salad to help it all along. 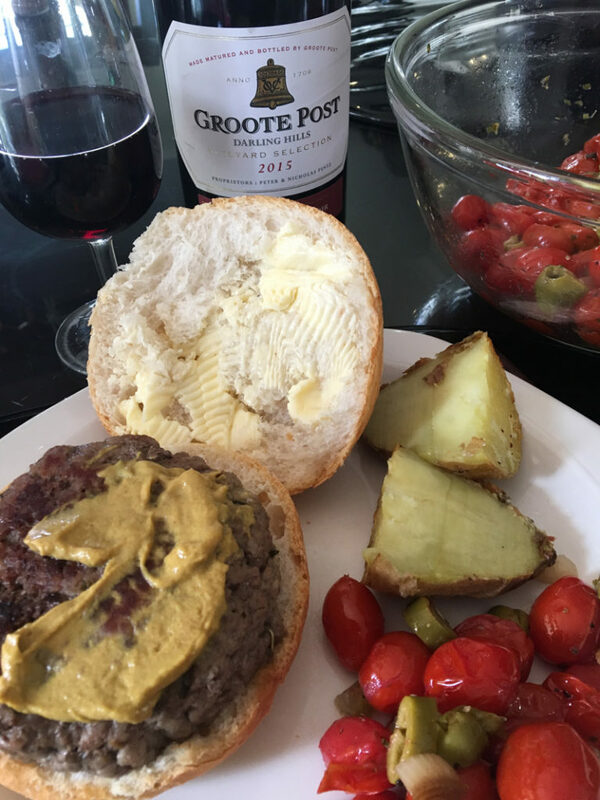 This great bottle of Groote Post Pinot kept winking at me from the rack—“drink me” it said, just like in Alice in Wonderland. I cannot resist pleading so popped it into the fridge for 20 minutes, took out two glasses and poured myself some. The fragrance on the nose is exquisite, and the follow through in the mouth is even better. Lukas Wentzel really knows what he is doing. And the surprising thing is it went perfectly with the meal—superb, especially with the sweet potato—heaven. Just a dash of English mustard and don’t zoom up the salad dressing too much. 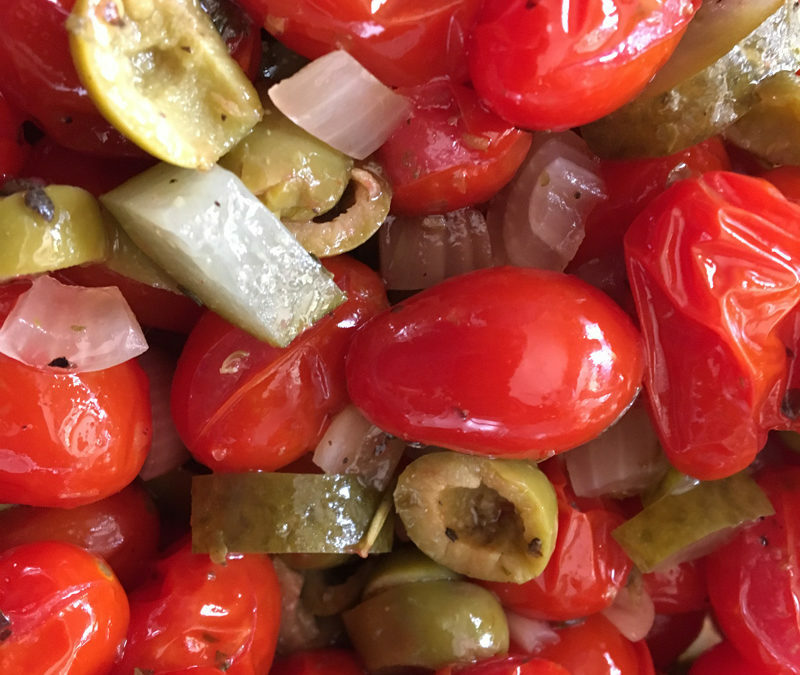 This one was made with lightly sautéed baby tomatoes just till they split, chop up some green olives and some pickled onions, add a sprinkle of herbes de Provence and tuck in. CHECK OUT GROOTE POST ON MY DARLING TOUR A NOT SO SECRET SECRET IN THE DARLING HILLS.